A socio-cultural anthropologist, futurist, US Army veteran, and experiencer since childhood, Lisa is committed to illuminating the truth about our extraterrestrial and extradimensional visitors as well as challenging the truth embargo. Chad Laibly is a veteran of the U.S. Air Force having served in Germany, Saudi Arabia, Pakistan, and Charleston, S.C. In 2002, he started an IT business in Washington D.C. In 2008, he returned to his environmental roots and switched to energy efficiency and solar. He is also a serious Field Investigator for the Mutual UFO Network, and attempts to build free energy devices. Rey is one of the 4 co-founders of The Dr. Edgar Mitchell Foundation for Research into Extraterrestrial and Extraordinary Experiences, or FREE, and one of the 2 co-chairs of the FREE Experiencer Research Committee. He graduated with honors from Rutgers College, was a Masters Candidate at Cornell University and was a Ph.D. Candidate at the University of California at Berkeley in City and Regional Planning where he was the recipient of a National Science Foundation Ph.D. Fellowship. While writing his Ph.D. dissertation, Rey’s ex-wife had a brain aneurysm and he was never able to complete his dissertation. Rey is currently employed as an Estate Tax Attorney with the US Dept of Treasury. He previously was an Adjunct Professor for six years at the New School for Social Research and at the City University of New York. Previous to March of 2012, Rey had zero interest in Consciousness, UAPs, the paranormal, or non-human intelligence. Beginning in March of 2012, Rey, his wife, and daughter began to have conscious physical contact with non-human intelligence in their family home, a series of paranormal experiences and have seen large UAPs, one time for more than 45 minutes, at a distance of less than 30 feet. Jason is a contactee / experiencer. After 15 years working in emergency medicine and social work, I ended up having an extraordinary experience that lead me on a path of understanding consciousness and how the UFO phenomena can transform our understanding of who we are. Greg Black is an award-winning investigative journalist, although one operating undercover of a pen name with the Disclosure Activists due to the Truth Embargo in the mainstream media. He has been investigating all aspects of UFOlogy since a pair of compelling 1997 UFO sightings in Sedona, Arizona. This experience triggered a spiritual awakening that launched Greg on a quest to uncover the Truth and help save the planet. 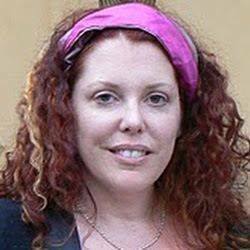 Ashley is an investigative journalist, reporter, and spiritual teacher passionate about psychic and spiritual phenomena, extraterrestrials and UFOs, and ancient and suppressed technologies. She is the founder of the Mystery School of Enlightenment in Calgary, Canada. She is an experiencer herself since 2013. Ms. Fenton is the MUFON Marin and Sonoma counties Meeting Director, holding meetings in Petaluma, CA on the first Saturday of the month. Lorien’s nonprofit, Conscious Community Events, produces UFO CON and the Super Soldier & Mind Control Summits. She is also a radio talk show host of The Fenton Perspective on Revolution Radio and California MUFON Radio. ​Dr. Joseph Burkes is a retired physician and experiencer who has been active in the UFO/extraterrestrial field for decades. From 1992 till 1998 he was closely associated with Dr Steven Greer's Close Encounters of the Fifth Kind Initiative. Since that time he has continued to study the UFO phenomenon working with MUFON and the Peruvian contact network known now as Rahma. Giorgio Piacenza was born in Lima, Peru in 1961 and studied at Markham College. At the age of 10, he began to question the nature of reality and human motivation. At the age of 12, he participated in Western esoteric and Indian mystical groups, attempting to synthesize their knowledge while trying to maintain a comparative and critical perspective. After a UFO experience with family and friends in 1975 in the coastal town of Chilca, Peru, he befriended contactees and began to consistently research the UFO phenomenon. In 1987 he earned a degree in Sociology from Georgetown University and, in 1990, two business certificates from John F. Kennedy University. In 1991 Giorgio worked in his import-export business and continued researching the UFO phenomenon, offering occasional lectures, and radio or TV interviews. Between 1999- 2000, he became one of the civilian founding advisors to OIFAA, the Peruvian Air Force’s Office of Investigations of Anomalous Aerial Phenomena. In 2013 he offered his assistance once again to the same Air Force until 2015. Through the years, Giorgio has kept abreast of a wide range of intellectual, social and spiritual interests regarding “anomalous” and regular aspects of reality and of ufology, trying to “connect the dots” in areas such as UFO evidence, contactee messages, rational metaphysics, the mind-body problem, and physics. ​Giorgio is largely self-educated and constantly tries to update his understanding. He is open to meditation practices and peaceful contactee efforts. He has been a student of integrative theoretical models, including (since1981), of Ken Wilber’s Integral Theory. In 2009, Giorgio completed a 2-year Certificate in Integral Theory offered by John F. Kennedy University, became an advisor to Exopolitics Institute and a member of the Edgar Mitchell Foundation on Extraterrestrial and Extraordinary Encounters (FREE). Giorgio currently writes articles and essays and attempts to engage in constructive dialogues with the UFO, exopolitics, experiencer and academic communities.